Following the headquarters lease by Direct Energy, the largest footprint at 2 Houston Center to date at 105,578 square feet, Gensler announced it will also take two floors in its Houston office relocation. Direct Energy will have the largest office footprint at 2 Houston Center to date. 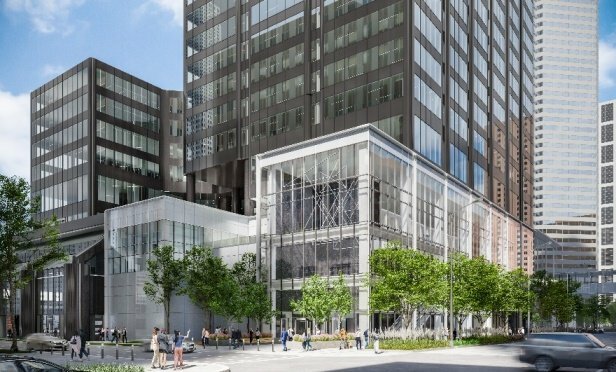 HOUSTON—Leasing continues at a dizzying pace at the downtown class-A office tower, 2 Houston Center, what with two large leases being inked there in recent weeks. In the larger of the two, Direct Energy LP signed a lease for its corporate headquarters to be located at 909 Fannin St.